Amenities: 9 acre stocked fishing lake with casting dock, outdoor swimming pool, seasonal skating rink, 2 field houses, 8 lighted tennis courts, 5 Softball fields (1 lighted), 5 baseball fields (2 lighted), 2 lighted soccer fields, 2 basketball courts, 3 football fields (1 lighted), 5 comfort stations, a walking and biking trail. 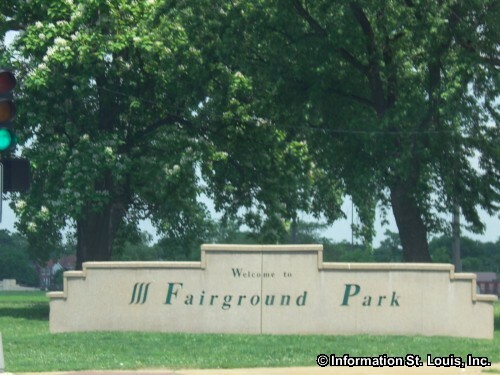 Fairground Park had its beginnings when several businessmen formed the St. Louis Agricultural and Mechanical Association which then purchased the first 50 acres of the park grounds from John O'Fallon. Those businessmen held the first "St. Louis Fair" there in 1856 showcasing, you guessed it, agriculture and new mechanical innovations of the day. Any money made from the fair were to be used to improve and expand the fairgrounds. The fairground buildings at the time included an amphitheater, a floral hall, a mechanics building, a machine shop and livestock stalls. During the Civil War the Fair was canceled and the fairgrounds were used by the Union Army as "Camp Benton" for the training of Union troops and for a hospital to treat wounded and sick troops. After the Civil War, the St. Louis Fair resumed in 1866. It was in 1873 that the park was opened to the public for daily use. Up until then, the park had been private and was only open to the public during the week-long Fair. During that time, a zoological gardens, or zoo, was established along with an art gallery and a natural history museum. The Fair was held annually until 1902 when preparations for the 1904 World's Fair brought about the final blow to the already wanning popularity of the annual fair. 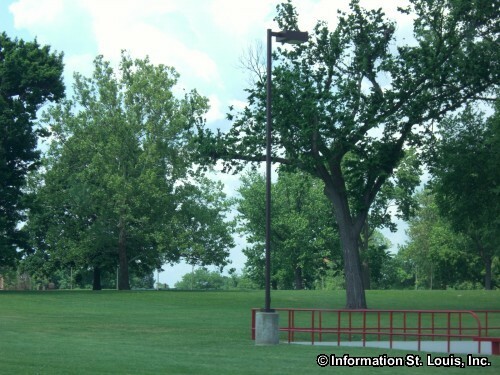 Throughout its neary fifty years, the St. Louis Fair saw horse racing, sulky racing, horse and livestock shows, displays of manufactured goods and textiles, museums and a zoo. Auto racing was even tried in the end to bolster attendance to the Fair. 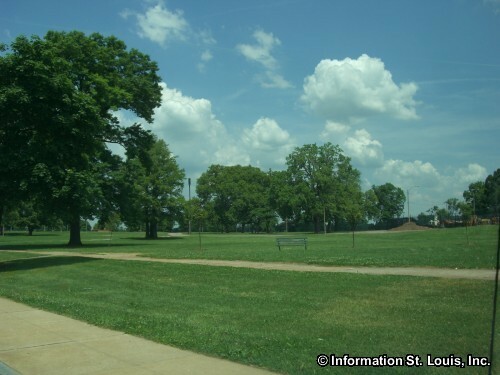 In 1902, when the Fair ended, the fairgrounds had a total of 132 acres and they lay abandoned until the City of St. Louis purchased the land in 1908 for a park. 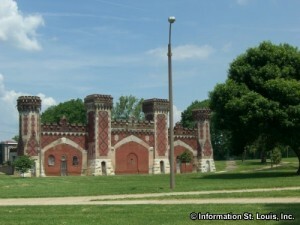 The bear pit structure, that was once part of the extensive zoological gardens, is the only remaining building left from the Fair. A unique item in the park is a monument to Louis Kossuth, a Hungarian freedom fighter who is called the "Father of Hungarian Democracy". In 1852, he came to the United States, making Kossuth only the second foreign Statesman to be officially invited to the US and to address a joint session of Congress. He came to ask for help with the Hungarian fight for democracy which the US declined to give. He also visited St. Louis in 1852 and was warmly received. Kossuth is the name given to the street that runs east to west from Glasgow to Euclid forming the northern border of the park.